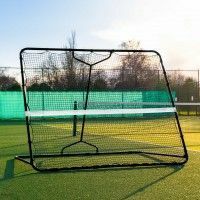 Engineered using premium-grade aluminium, these freestanding tennis posts balance supreme durability with a lightweight nature making them super easy to store & transport. 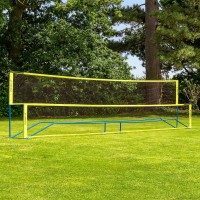 These impressive freestanding tennis posts feature an innovative modular design which allows you to convert from a regulation singles width (33ft) to regulation doubles (42ft) in seconds. 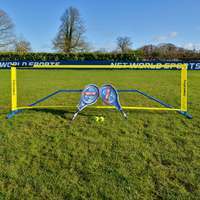 The 4x heavy-duty castor wheels allow these tennis posts complete 360 movement – unique to anything else on the market. Guarantee a mark-free performance on any court surface. 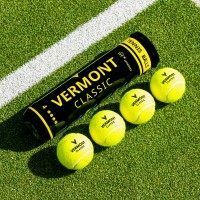 The perfect choice of tennis posts for tennis courts where permanent fixings aren’t always suitable, these Vermont Freestanding Tennis Posts guarantee professional quality at exceptional value. Unique to any other freestanding posts on the market, Vermont’s version features an innovative modular design, which allows users to simply convert between regulation singles (33ft) & regulation doubles (42ft). 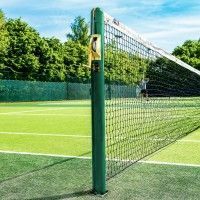 Expertly designed to conform with Official ITF Tournament Regulations, these tennis posts combine world-class durability with 100% portability, making them the perfect choice for tennis clubs, academies and tournaments. 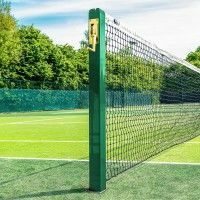 Capable of delivering a professional performance on any tennis court surface (indoors & outdoors), these impressive freestanding tennis posts have been engineered using 80mm box section aluminium. The premium-grade aluminium construction balances supreme longevity with outstanding portability, as its lightweight nature allows anyone to move it with ease. 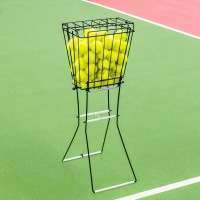 Featuring 4x heavy-duty castor wheels (one on each corner of the base), these freestanding posts are capable of complete 360° movement, making storing and transporting them the simplest of tasks. 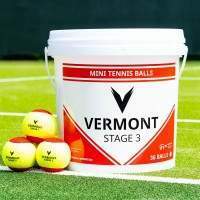 The rubber feet ensure your tennis courts will remain free of marks too. 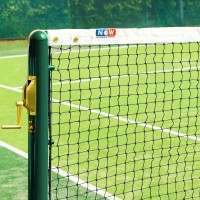 Not only do we provide ITF Tournament Regulation Freestanding Tennis Posts; this package comes with the option of adding a professional tennis net too. 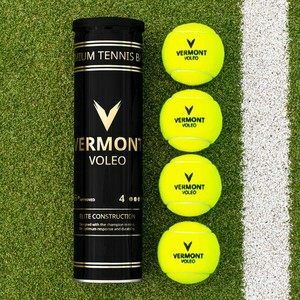 With a choice of 3 tennis nets on offer; 2.5mm singles (33ft), 2.5mm doubles (42ft) or 3.5mm, you’ll be able to complete the ultimate tennis court set-up. 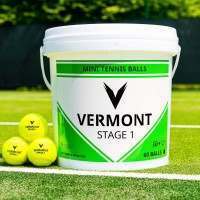 Manufactured using premium HDPE net twine, our tennis nets are UV treated and offer exceptional resistance to rot & weathering. 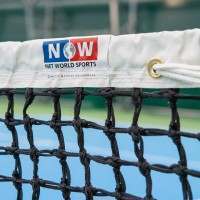 As well as HDPE twine, the impressive nets also feature a quad-stitched vinyl-coated headband, which is designed to withstand large volumes of tennis ball activity. 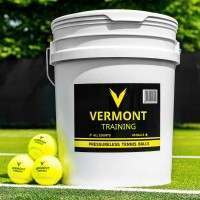 PLEASE NOTE: The Vermont Freestanding Tennis Posts come with the option of additional internal weights which help provide maximum stability during play. For elite tournaments & when used with the 3.5mm tennis net, we recommend using these weights.